Synopsis Set against the backdrop of Reykjavik’s swinging nightlife, this zany black comedy takes a candid look at it’s antihero’s compelling, confused and often hilarious sexual universe. Living on social security in the protected environment of his mothers home, Hlynur has never felt the urge to venture beyond the confines of his microcosmic world : The downtown postal area of 101 Reykjavik. Determined to resist adulthood at any cost, he soon finds out that life is busy making other plans for him. With a dry, biting humor, this slice of life weaves a tapestry of lives that gives us insight not only to the characters but the youth culture they represent. 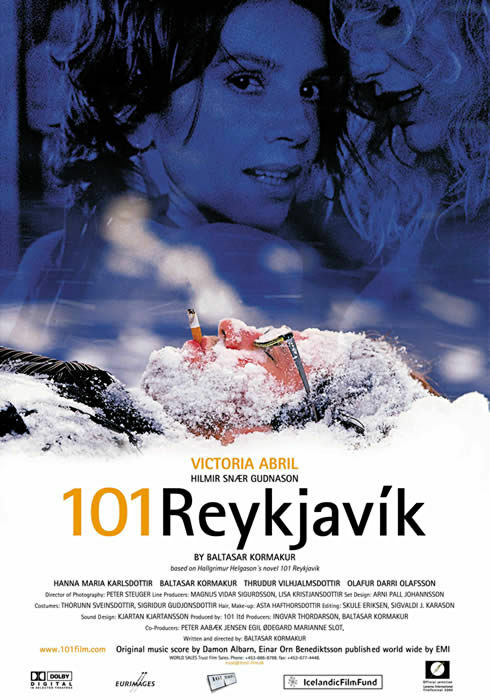 The book on which the film is based was nominated for the « Literary Prize of the Nordic Council ». Coproducers Zentropa Entertainments, Filmhuset and Liberator Productions.